I understand that TV Centre is to be demolished. A shame. Great building, much loved by those who worked there. Probably fair to say that it was among the most creative places on earth during the 60s and 70s. (I wonder what will happen to the ‘Statue in the Doughnut’ – the figure being the sun god Helios.) 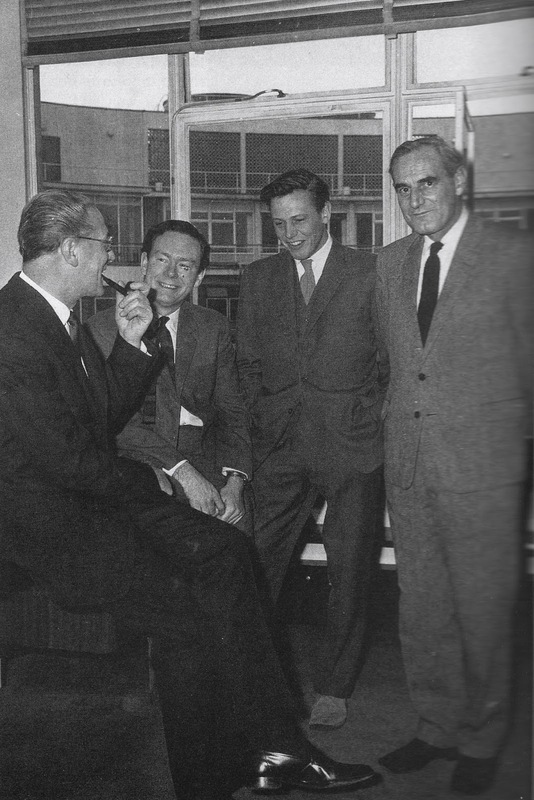 Here's a pic of Sixth Floor Nabobs: Kenneth Adam, Michael Peacock, David Attenborough and Dad (Huw Wheldon).